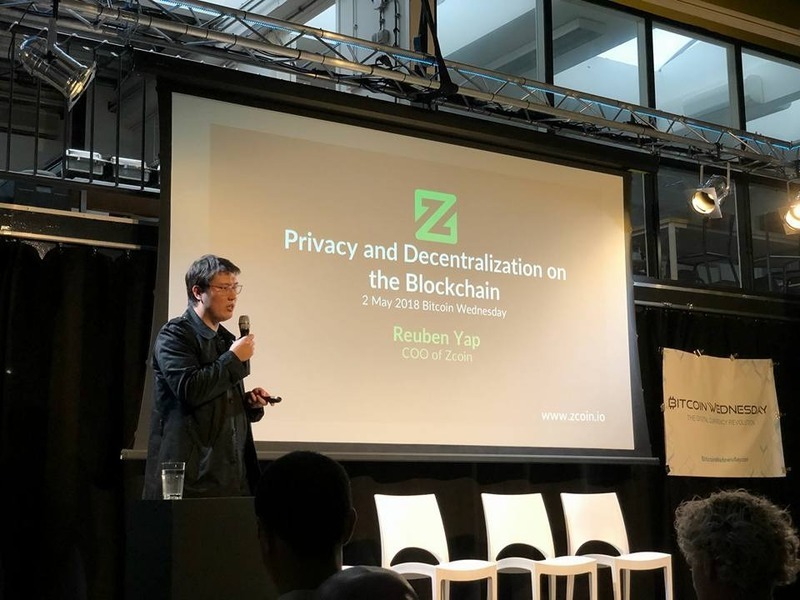 When Reuben Yap, the Chief Operating Officer (COO) of Zcoin first started BolehVPN back in 2007, he had absolutely no inkling he would be working on the business for the next decade. As a huge anime fan who just returned to Malaysia after reading law from the University of Nottingham, he was naturally miffed when the government started censoring and throttling the internet connection to popular peer to peer file sharing site, BitTorrent – the main source of supply for his favourite anime. That incident, eventually led him to start his own Virtual Private Network (VPN) to allow others like him to enjoy unrestricted access to content. BolehVPN started with an initial seed funding of RM600 along with a co-founder he met online at the popular Low Yat forum. Years later, the gamble paid off as the company went on to become one of the largest VPN providers in South East Asia. He continued working on BolehVPN during weekends, while pursuing his legal career. It was during his years of running BolehVPN, that he chanced upon Bitcoin in 2012. As BolehVPN was operating in the privacy service space, he was approached by a customer if he was willing to consider accepting Bitcoin, which was relatively unknown at that time. “I was thinking to myself, what is the risk? Each VPN subscription costs like RM30 and if I lose it, I lose it”, recalled Yap, whose company eventually became one of the pioneer merchants to accept Bitcoin in Malaysia. Yap said during those days, the price of Bitcoin was about US$100 and in order for him to exchange from Bitcoin to fiat, he literally had to hunt down someone from Singapore to buy his Bitcoins. He eventually expanded it to accept other cryptocurrencies too. As a legal practitioner who has been championing privacy for more than a decade, the topic of privacy holds a soft spot in this 35-year-old’s heart. It was for this reason, that attracted him to Zcoin which has a strong presence in the privacy space. When he first came onboard a month after its launch, the company only comprised of two founders, one of them being Poramin Insom. “At that time, everyone was talking about zero knowledge proof works but no one could explain in layman terms what it was all about. I thought this was a very interesting mechanism, so I offered my help to write some guides for Zcoin,” explained Yap. His voluntary efforts paid off as the founders subsequently approached him to join them as a Community Manager in 2016. Yap officially joined Zcoin as the Chief Operating Officer this year. Yap was impressed by the humility of the Zcoin team and their strong push for the technology and development of Zcoin. His curiosity and eagerness to learn how a coin works from within an organization was also another factor that led him to accept the position. He credits his entrepreneurship and his legal background as the source for his objectivity which help him to structure Zcoin to what it is today. “People often question the need for privacy on the blockchain. What people don’t realise is that you cannot liken transactions on the blockchain to banking transactions. Transactions in conventional banks are private, whereas every transaction on the blockchain is open and transparent”, remarked Yap. And that’s where Zcoin fits in. Zcoin or XZC is an open source decentralized cryptocurrency which offers privacy and anonymity while transacting online. Another appeal of Zcoin is the decentralization effect in terms of coin distribution. Yap attributed the rise of Bitcoin in the early days to the network effect as virtually anyone could turn on their computers to mine Bitcoins. Likewise, for a new coin like Zcoin it is imperative to ensure there is a fair distribution of the coin. One of the best ways to achieve this is through designing a security system that is resistant towards the use of Application Specific Integrated Circuits (ASICs), which allows people to use existing computer hardware at home without the need to purchase any specialised machine to mine a certain coin. Moving forward, Yap revealed Zcoin is encouraging more real-life merchant adoption with some strategic partnerships in the works to integrate with existing point of sales (POS) systems or the acceptance of crypto payments via QR codes. “We don’t want to be a coin that is solely for investment. We want to be a coin that is useful, kind of like a Bitcoin competitor but more private and decentralized”, Yap said. When Will Cryptocurrency Turn Mainstream As A Mode Of Payment? “It will most likely happen over the next 5 years. It is a process. People have to be comfortable in accepting cryptocurrencies without too much volatility risk and it begins with gateways such as BitPay or Coinbase to auto convert to their own local national currency. Only once people are comfortable with this idea, only will they move to accept and hold it in its native cryptocurrency form”, he said. Yap added Zcoin is currently working on the first layer of adoption within the next 6 months to encourage merchants to accept Zcoins. His immediate aim for Zcoin right now is to enable merchants to easily accept cryptocurrency without the need to dive deep into the technicalities. His team has been working on a series of partnerships with exchanges in fiat pairings in most major currencies to enable merchants to convert into their local currency. Zcoin is currently listed on some of the top exchanges in the world including Binance, Bittrex and Huobi. Yap opines the Malaysian blockchain space is currently doing fairly well with the government, Central Bank and the regulatory bodies taking a proactive stance to implement measures to prevent money laundering and Know Your Customer (KYC), instead of trying to ban it. “I think that is a good approach where you don’t ban it outright, but you provide frameworks for these businesses to exist within the existing laws to address the main concerns of money laundering or tax evasion”, Yap remarked. Unfortunately, he feels the space is becoming increasingly unhealthy with the rising number of Initial Coin Offerings (ICOs) that has tainted the space. “ICOs have created many industries around it such as ICO consultation firms, ICO market makers and exchanges that used to cost 1 Bitcoin to list is now costing US$1 to US$2 million to list. The standard going rate in the market for an ‘advisor’ is about US$100,000 just to have their name there, even if their contributions are minimal. A lot of meetups in town are also guilty of becoming too ICO centric. Token rating agencies even rate ‘Hype’ as a metric of evaluating how good an ICO is. So now we have a situation where these tokens are being rewarded for not having a product,” laments Yap. "For ICOs with no working product, there is always this pump effect where events such as testnet launches followed by mainnet launches all served like a formula on how to pop money. When these projects get so much money upfront, they are under tremendous pressure to perform for their investors and ended up having to spend money on things like ‘market makers’ to generate volume and exchange listings. Exchanges knowing this, instead of focusing on listing quality projects that would bring them trade volume, they are willing to list lower quality ones provided they are given a huge listing fee. Many ICOs don’t even bother continuing their projects after getting the money," he remarked. Sadly, most governments are often in reactive mode rather than proactive mode. 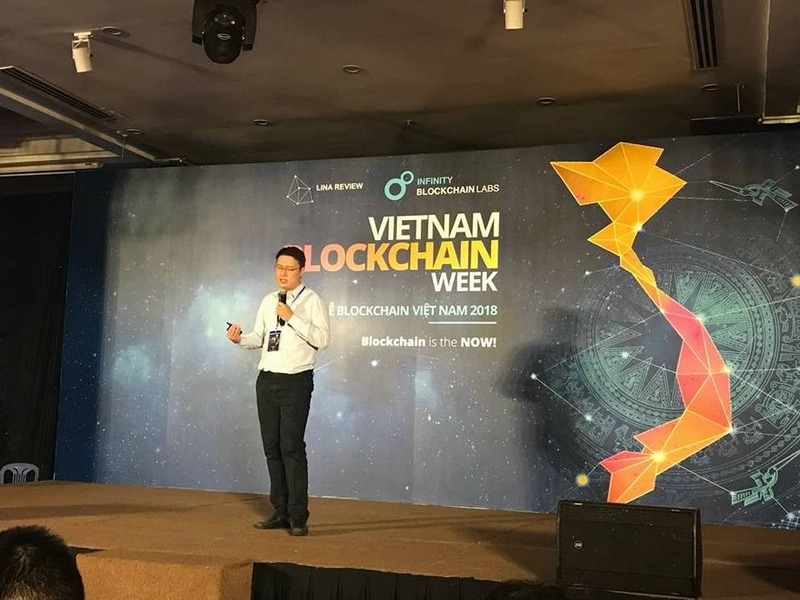 “When governments are always reacting to scams, obviously the perception will be negative towards cryptocurrency projects or blockchain in general,” said Yap. And he has valid reasons to worry too. Privacy coins such as Zcoin are often associated with illicit and money laundering activities. It does not help when the number one privacy coin, Monero openly embraced darknet and drug dealings as their niche market. However, he for one does not believe banning privacy coins is the answer as that will encourage more people to trade underground or opt for decentralized exchanges or peer-to-peer (P2P) exchanges where there is totally no anti-money laundering (AML) or KYC. There are many legitimate use cases for financial privacy, such as not letting everyone know your spending habits or your networth or for competitors to find out how much you spend or receive. Allowing privacy coins on regulated exchanges allows the majority of the liquidity to exist within the purview of law. “There is a saying that says, if you outlaw privacy, then it will only be for the outlaws”, Yap remarked, adding if governments prevent privacy coins from being listed on the exchanges, they ironically lose more control over it. Should ICOs be regulated and how? “While I don’t have an answer on how ICOs should be regulated, I do believe there needs to be some sort of awareness on the risks of ICOs. A study by Satis Group concluded that 78% of ICOs in 2017 were outright scams. ICOs should be viewed as Kickstarter projects, where you fund people based on an idea and not in any way up to the same standards as IPOs in the traditional space. Central Bank’s prompt updates of the consumer alert list of unlicensed investment schemes is a step in the right direction,” said Yap. So, what can the man on the street do to safeguard themselves? Perhaps, one can start by reading the article written by Yap to start educating themselves, before it is too late. About Karin Chang — Karin Chang is a tech geek who runs an integrated marketing agency by day and study cryptos and blockchain by night. When she is not found working on her Mac, she loves having intellectual conversations with inspiring entrepreneurs and thought leaders. If you have any interesting personalities who deserved to be under the Spotlight, send her a tweet at @karindailygrind. She promised not to bite.